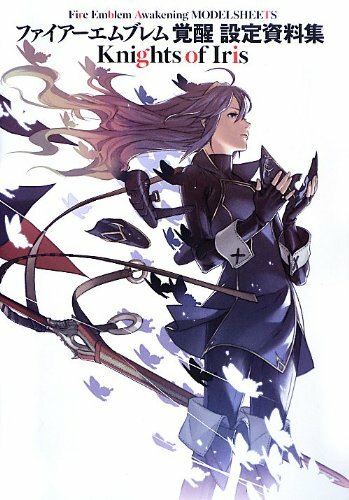 This is the video game artbook for the Nintendo 3DS game Fire Emblem: Awakening. Apparently, it's a highly rated game judging by the reviews on Amazon. This is a 320-page paperback. It's a Japanese artbook so everything's written in Japanese. There are designs for the characters, weapons, storyboards, character profiles and scenario archives. Art for the characters comes as full page finished illustrations as well as the design sketches. There are 124 pages for the characters. The character designs are great and very stylish looking. They are more towards actual human anatomy but retains the strong Japanese manga line art style that's cleanly drawn. The costumes are pretty nice, and you can see some variations from the sketches. Overall, the art style reminds me of those from Tactics Orge, The ARK Lineage II and Valkryia Profile. Other sections have less pages. Weapons section is only a few pages. That's followed by story event illustrations which look like they are screenshots for the game but these are beautifully illustrated in high resolution. Then there's the Propose Event Illustration that has the characters with blushes on their faces. There's also some sort of ranking report tabulated from results of fan polls of character popularity. That's followed by character profiles. The last 100 pages are the scenario archives, which is basically the guide to how scenarios unfold for each characters under different circumstances. So overall, two-thirds of the book is art. I see this mostly has a character design book and the art is great. It's quite a pricey book that's more worth for those who can read Japanese. If you like the game or character designs, it's a book worth checking out.